The Port of St. Helens says two potential aviation businesses backed out of development deals in Columbia County, largely due to costly fire code compliance for airplane hangars. One company, Premier Jets Inc., of Hillsboro, bought property from the port in 2017, but plans to sell it back, saying the project doesn't pencil out. In a resolution approving a buyback agreement for the land the port sold to Premier Jets, the document cites "increased construction prices affected by new fire codes." Port staff says construction costs for new buildings, combined with the costs of installing a fire suppression system, are too high for most small aviation businesses. But fire and building codes, some of which are taken from national standards, have dictated a sprinkler system or some type of fire suppression system for decades. 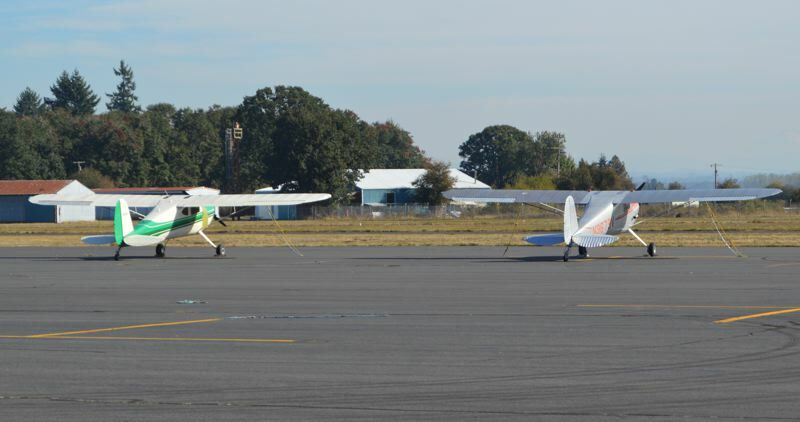 Jeff Pricher, fire marshal for Scappoose Fire District and Columbia River Fire & Rescue, notes the fire agencies in the county are bound by state and national fire safety standards for airplane hangars that store aircraft, fuel or both. "The challenge for airplane hangars is long standing and there have been many discussions at the state level between the state fire marshal's office and the building codes division," Pricher noted. Those fire safety standards call for a fire suppression system that either disperses fire-retardant foam, or water, during a fire. "When you have a flammable liquid fire, they tend to burn hot and really, really fast," Pricher said. "If you don't put that fire out quickly, you will have a significant loss." Pricher said flammable fuel fires have larger impacts beyond the immediate burn area. "In a community such as ours, one of our biggest challenges is manpower ... if we have a very large fire like this, it will drain all the resources in the county, so we have to rely on these suppression systems in order to protect the community." Pricher noted water-based systems can be more difficult to utilize because they require a substantial amount of available water. Water is also not the most effective element for combating a flammable fuel fire. Port Commissioner Robert Keyser voiced concern before voting to approve the buyback agreement from Premier Jets last week, noting the agency "lost two businesses" to construction and fire code compliance costs. Despite concerns and complaints, the fire safety codes for hangars aren't new, though some businesses may be facing them for the first time. David Hague is a principal engineer with the National Fire Protection Association. The agency produces recommended fire safety standards and codes that often get adopted into building codes. a requirement for a fire sprinkler system or a foam system of some type," Hague noted, but said compliance "depends on when these codes and standards were enforced or brought into law." Hague says Oregon adopted a revised edition of the International Building Codes in 2012. Regardless, some say complying with fire safety codes is a cost of doing business that should be factored into construction costs. "The codes have been in for a number of years, but last time we built a hangar was for Oregon Aero," Doug Hayes, the Port of St. Helens executive director, notes. Oregon Aero doesn't store aircraft fuel. "It is certainly a challenge because you don't want to take short cuts when it comes to safety," Hayes said, but noted he had a meeting planned with state and regional leaders, including Sen. Betsy Johnson of Scappoose, to discuss fire codes for hangars and their impact on businesses. "The next thing is, what can we do to help smaller businesses? Because this is very costly."